CENTER HARBOR, NH – The Lakes Region Conservation Trust (LRCT) located on Rte. 25B in Center Harbor added 42 solar PV panels to their newly renovated office building with generous support from the Thomas Haas Foundation at the New Hampshire Charitable Foundation in partnership with the Plymouth Area Renewable Energy Initiative (PAREI), Mauchly Electric, and New England Commercial Solar Services. 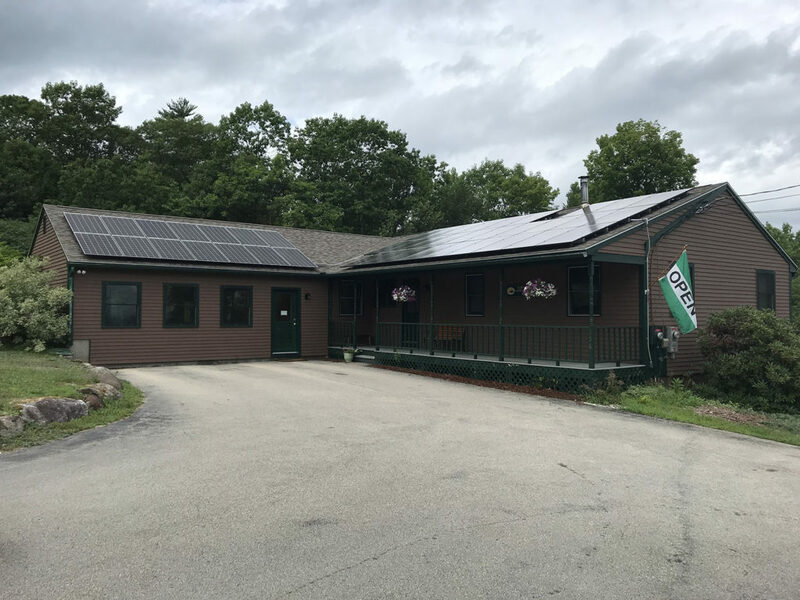 The 12kW solar array is located on the south and east facing roofs of LRCT’s headquarters and is estimated to produce over 14,000kWH of clean renewable energy every year. “Here at the Conservation Trust we want to do our part for the environment by reducing our carbon footprint. We also want to inspire others, who drive by our office, to do the same!” said Lisetta Silvestri, LRCT Operations Director. The Lakes Region Conservation Trust, founded in 1979, has conserved over 27,000 acres of land throughout the Lakes Region in more than 150 properties. LRCT’s land conservation work preserves community character, conserves critical wildlife habitat and diverse ecosystems, protects natural landmarks and scenic landscapes, and provides recreational opportunities for people of all ages. To learn more about LRCT, please visit the LRCT website at lrct.org.